There is a large genus of evergreen shrubs and sub shrubs known as Teucrium, whose members are low maintenance. Wood sage, or American germander, is one of these plants. So, what other info about wood sage can we uncover and how to grow it? Click here to find out. Many herb plants come from the Mediterranean and, as such, are drought, soil and exposure tolerant. Creeping germander is one of those. 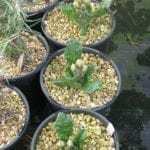 Read this article for more information about growing germander plants.